Michael Dell remains committed to the PC business.But where will the company go next now that it is private? Despite the $25bn buyback, which will enable Dell Computers to restructure its business while avoiding the scrutiny of shareholders, Michael Dell remains committed to the PC business. But where will the company go next now that it is private? Founder and CEO Michael Dell has fought a public battle with activist billionaire investor, Carl Icahn, over his plans to buy back the computer company. Icahn supported shareholders who were unhappy with Dell’s initial offer to buyback the company for $24.4 bn. Icahn pulled out of the fight on September 9th. Supported by Silver Lake Partners, Dell has successfully bought back the company. Significantly, Microsoft invested $2bn in Dell’s buyback bid, which may point to one the reasons the Dell is still planning to grow its PC business. Experts Computer Weekly spoke to gave a mixed reaction to the company’s plans. In a new blog post on the buy-back Lionel Lamy, associate vice president European services research at IDC, said that Dell needs to move past its traditional "hardware-first" approach to focus primarily on customers and their fast-changing requirements. “Doing this should enable Dell to be focus less on the short-term financial market requirements and in the longer term become stronger competitor to HP and IBM within the enterprise IT infrastructure and services space,” he wrote. 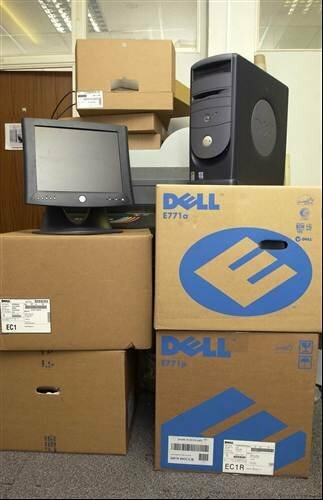 During the battle to buy back the company Dell presented documents highlighting the difficulties the PC industry now faces. But the company appears to remain focused on end-user computing, which some experts believe is a flawed decsion. “Microsoft is trying to protect the Windows ecosystem and Dell is very close to Microsoft and Intel,” says Tom Reuner, principal analyst at Ovum . Lenovo is the only company growing in the PC market thanks to manufacturing in a low cost economy and the key advantage of access to Chinese market. Reuner expects Dell will face many difficulties deriving value in the PC market. It has no software ecosystem, so will be unable to develop an Apple-like experience, where Dell can maintain tight control over the software and the hardware. “Dell is still a manufacturing company. I can’t see how it can build a value chain,” Reuner adds. He expects Dell to make more investment in services. Dell is likely to come under increased pressured to continue doing what it has always done, making and selling PCs. But the popularity of tablets shows the market has shifted. PC refresh cycles are now four to five years, while tablets are being replaced far quicker. When Computer Weekly spoke to Dell’s US head of services, Kevin Jones, he highlighted Clerity and Make, the company’s recent acquisitions in the mainframe market. Both Clerity and Make provide legacy modernisation tools. Dell appears to have most of the products it needs to match IBM and HP in the enterprise market, but lacks credibility. Its go to market strategy will be key, but this is not something that will happen overnight, or over a few financial quarters. The privatisation will buy Dell time to reengineer the company.